In his final match of the tournament, Joel Gadient dropped his 5th place match 7-1 against Brendon Coyer of Osakis. 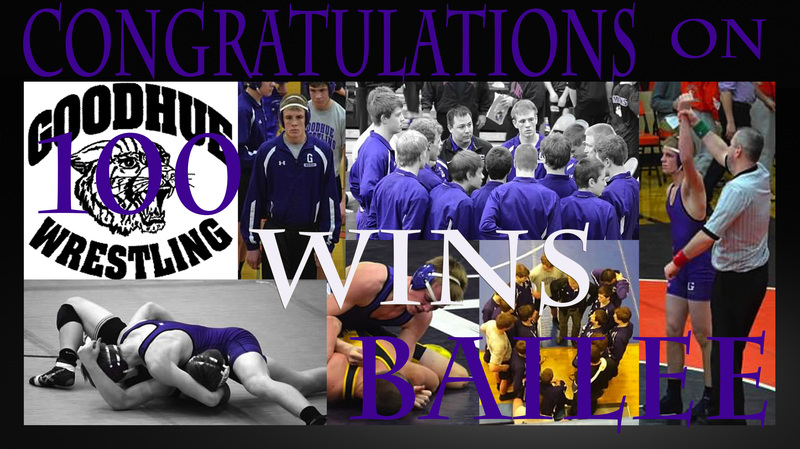 Congratulations to Bailee O’Reilly on earning his 100th career victory! 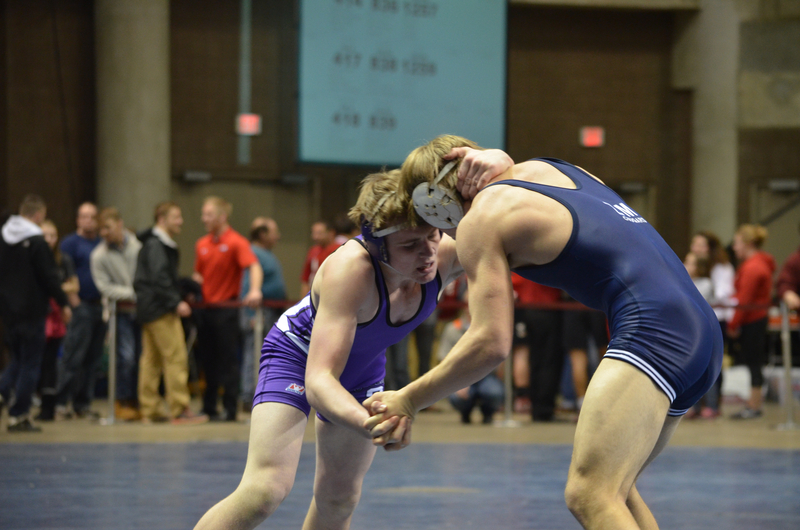 Goodhue’s 152 pounder has reached an impressive wrestling milestone – 100 career match wins. Bailee reached the century mark in the quarter finals of the 2015 Section 1A Tournament in a 4-5 seed match-up with a first round 4-0 decision over his K-W opponent, who he had lost to in the regular season. At the end of the tournament, Bailee had 103 wins and his first State Tournament berth. A family affair, now Bailee sits 8 wins behind his father Zach (111) and 23 wins behind his uncle Ben (126) on Goodhue’s all-time wins list. Just a sophomore, Bailee has been a full-time Varsity starter since the beginning of 7th grade, when he won numerous one point wrestle-off matches with fellow teammate Joel Gadient. Three years later, Joel himself is closing in on his own 100 wins mark. Congratulations to Bailee and best of luck at the State Tournament! The Goodhue Wrestling team travels to Rochester this Friday and Saturday for the Section 1 Individual Wrestling Tournament. The seeding meeting will take place Wednesday evening and then brackets will be released. On Friday the team will leave at 8:30 to the Mayo Civic Center in Rochester. The tournament will kick off with any wrestlers competing in a first round match at 12:30 p.m. and then all Quarter Finals matches will begin at 1:30. On Saturday we will leave at 8:00 to weigh in and prepare for the 11:00 Championship Semi Finals round. Consolation semis will be at 1:30 and 5th place matches at 3:00. The Parade of Champions is expected to begin at approximately 4:00 p.m. and the Finals and 3rd place matches beginning immediately afterward. We will get a link to brackets posted here on Thursday. Good luck to all the wrestlers as they pursue their goals this weekend! The Goodhue Wrestling Varsity team drew the 5th seed based on their regular season performance this year. The team will travel to #4 seed Chatfield tonight, who are ranked #8 in the state. The bus leaves at 4:30 and the dual will start at 7:00 p.m.